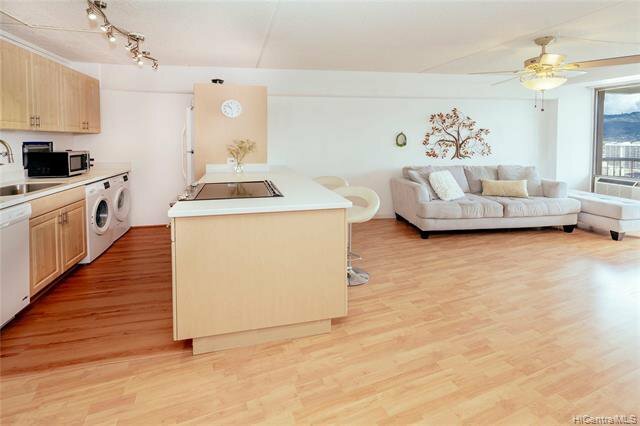 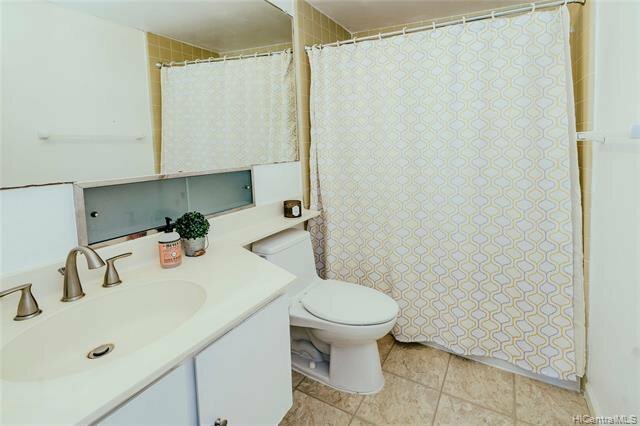 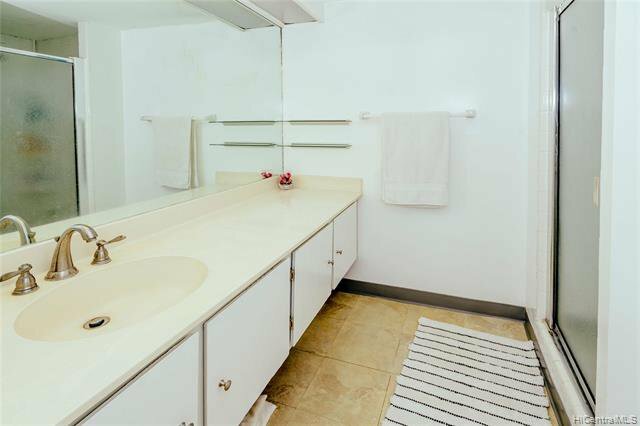 Relax and unwind in this rare two bedroom, two bath unit with two parking stalls. 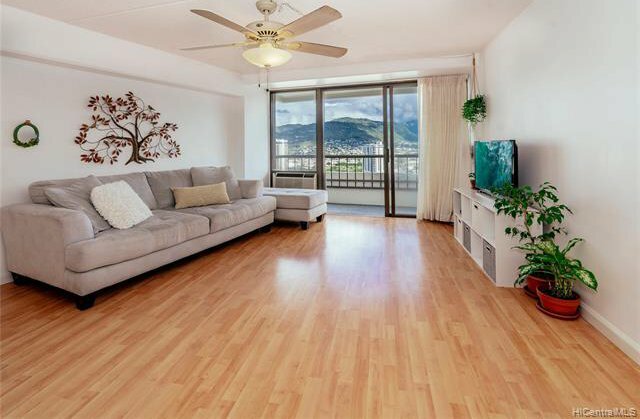 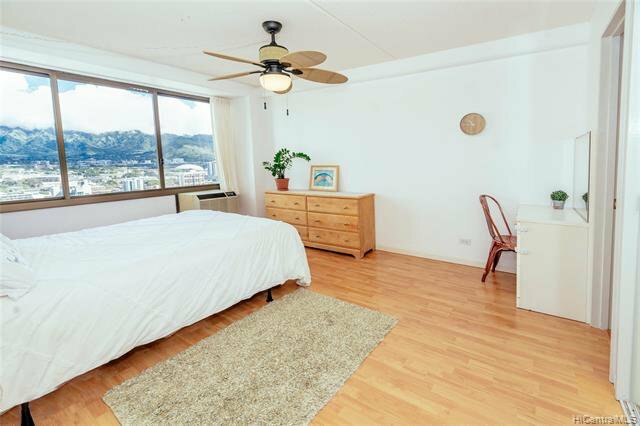 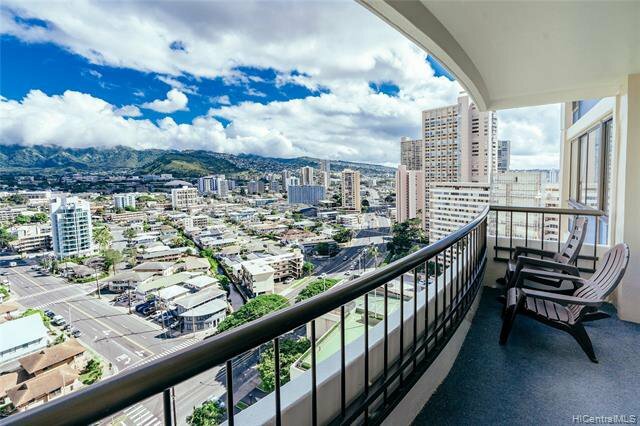 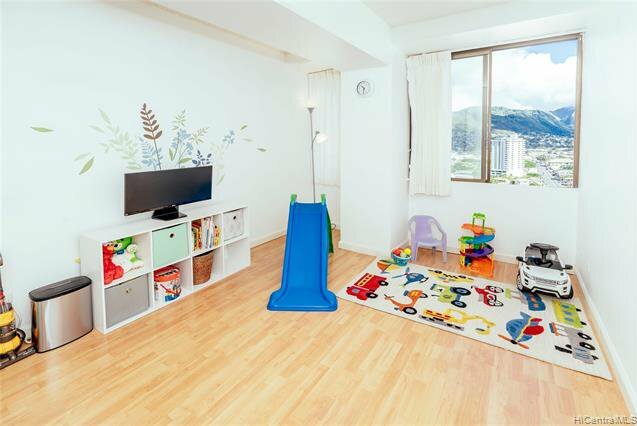 Enjoy the breeze and views of the city and lush Manoa Valley. 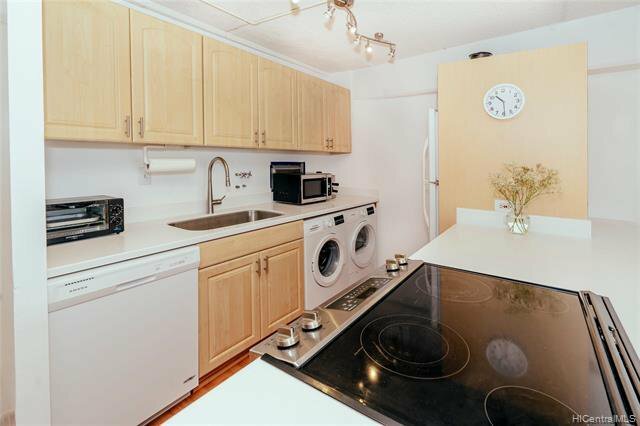 New kitchen cabinets, counter tops, sink, washer, dryer, dishwasher, and water heater. 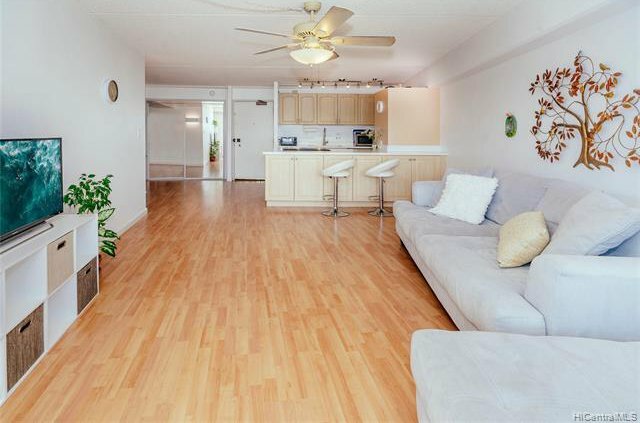 Laminate wood flooring throughout. 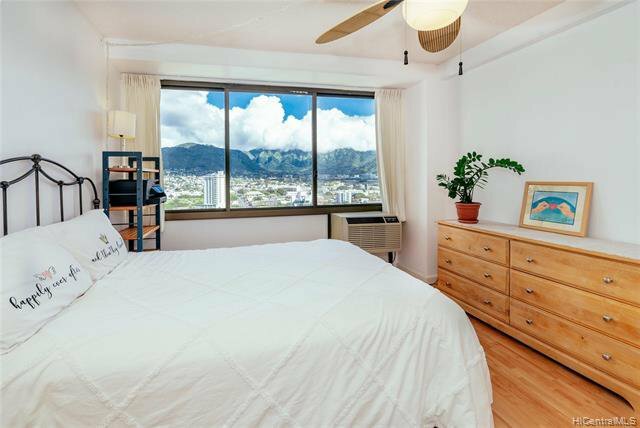 Close to Waikiki and the University of Hawaii. 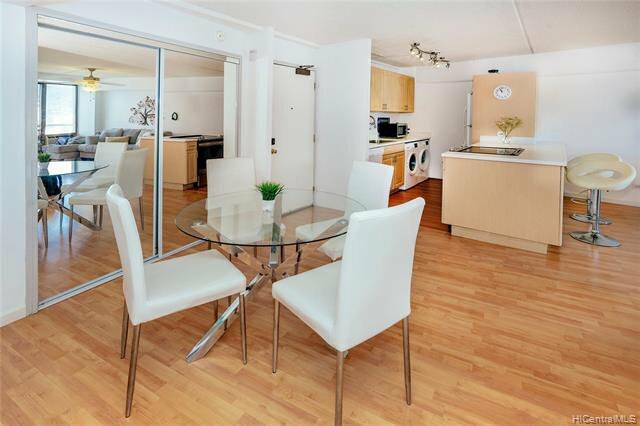 The pool, water features, tennis court, barbecue area, and lush landscaping have a resort-like feel. 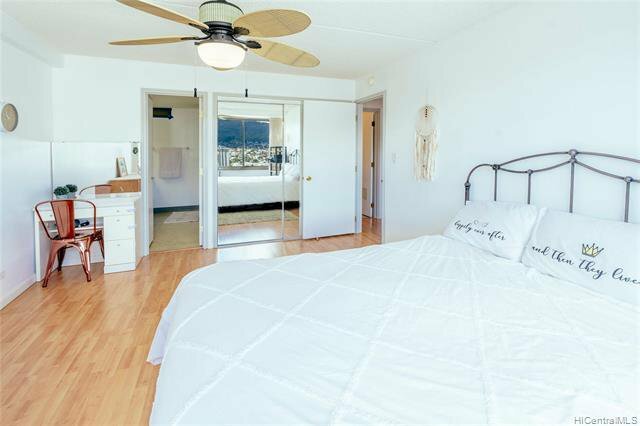 Ample guest parking, free for the first 30 minutes.